For over a decade, Leslie Garcia has been developing bio-sound interfaces within collaborative projects framed by ecological themes and an open-source culture ethos. 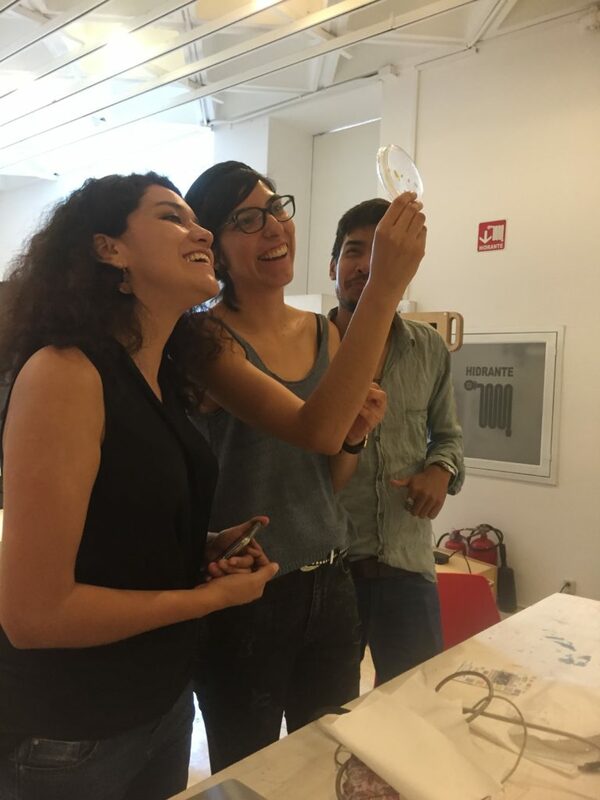 Part of a broader trend, Garciabs and collaboratorbs work resonates with kindred projects by contemporary Mexican artists as well as transnational circuits of computer researchers, artists, musicians, makers, and hackers. Alongside these projects, Garcia's work indicates an expanded conceptualization of media interfaces beyond their prevalent theoretical discussion as objects, as screens or displays. Instead, by privileging a spatialized notion of the interface, as a transducer or nexus for the generation of aural effects and processes, Garcia implicates its potential beyond functional purpose, toward the creation of interactions designed to attune human perception of non-human elements within the environment. Consistent with this focus, Garcia's projects are exceptional insofar as they routinely emphasize the publicbs actions (participation), thus turning busersb into collaborators in the creation of the overall system. Garcia's practice traces to collaboration with Tijuana-based artist and writer Carmen Gonzalez. Working as the Dream Addictive Lab (2003-2010) for seven years, the duo produced sculptures that integrate recycled materials, hardware (speakers, sensors, etc. ), open-source programming environments (arduino and Puredata), and analogue interfaces, to allow for responsive behavior. Shown at various galleries, festivals, and public spaces in Mexico and the United States, Solar Garden (2010), for instance, is an outdoor sonic sculpture that can be triggered by atmospheric conditions (e.g., solar energy) or viewersb gestures and manipulation of knobs and switches, or a combination of these inputs, which are then altogether synthesized as aural outputs. While as a musical interface Jardin Solar recalls the gesture-based interaction of the theremin (one of the first electronic instruments), its sounds, however, are reminiscent of noise music (i.e., distortion, feedback, static, hiss, and hum).  . Similarly interactive, Garciabs recent projects expand on previous work by including organic forms. Two installations, Pul(sum) Plantae (2013) and Interspecific Interfase (2014), the latter developed with Mexico City-based radio producer and cultural entrepreneur Paloma Lopez with whom the artist forms the Interspecies collective, illustrate this direction as yet alternative permutations of Garciabs longstanding interests in environmental and participatory themes. 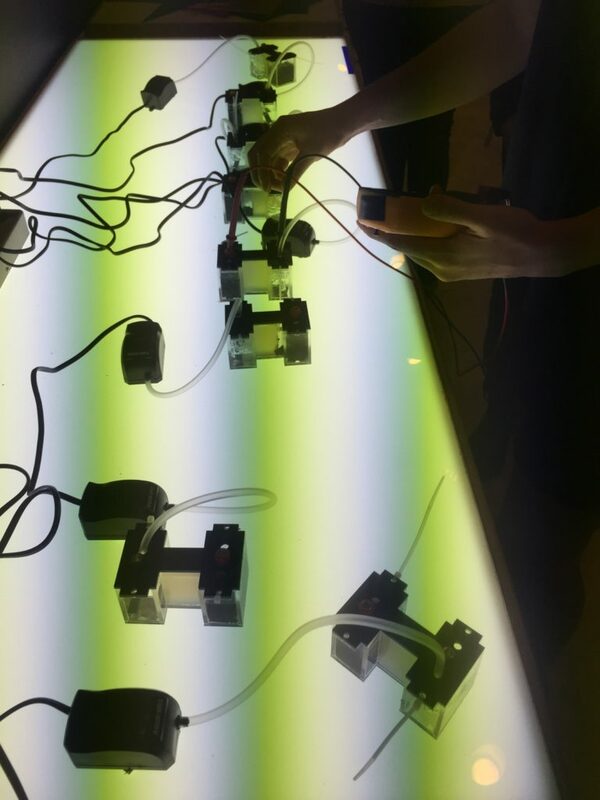 Concurrently conceived as sonic interfaces, art installations, and research tools, these projects integrate organic elements, plants, fungi, and bacteria, which interfaced with sensors and amplifiers, can be played. Like Jardin Solar, Pul(sum) Plantae constitutes a variation of the theremin, but adding an humorous note it has gallery visitors playing (with) cacti. Placing and moving onebs hands near the prickly plants causes sensors to register bioelectric activity, which is encoded and processed, and ultimately audible as noise. 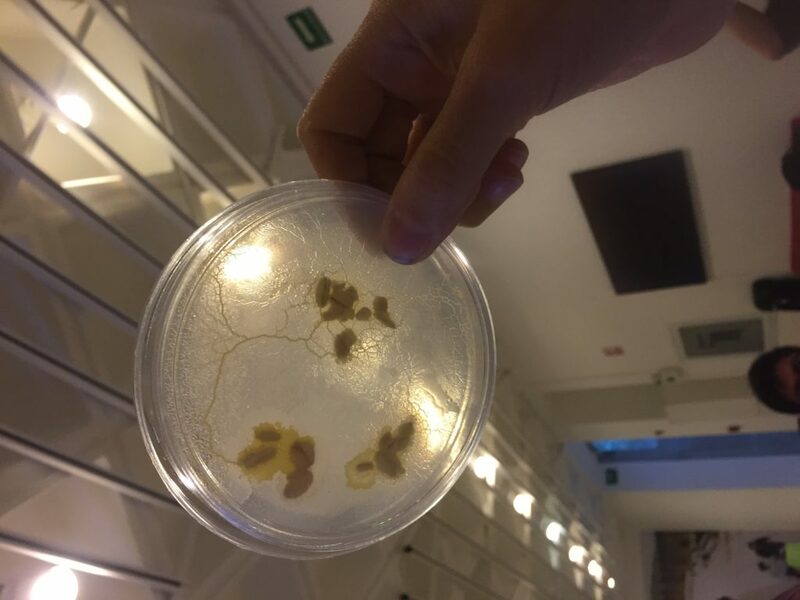 Interspecific Interfase involves the manipulation of fungi (slime mold) and bacteria cultures via light sources (slime mold is photophobic) or heat (in the case of bacteria). By controlling the intensity of stimuli the organismsb electric activitybs frequency can be diminished or sped up, resulting in slower or faster rhythms. . Unlike her previous work, Interspecific Interfase was developed at the Department of Design of Media Environments of the Bauhaus University, Weimar, Germany, where Garcia was recently engaged as an artistic researcher in morphological computing with a focus on researching bio-electronics (a chip) that combine conventional electronic components with organic materials (slime mold). 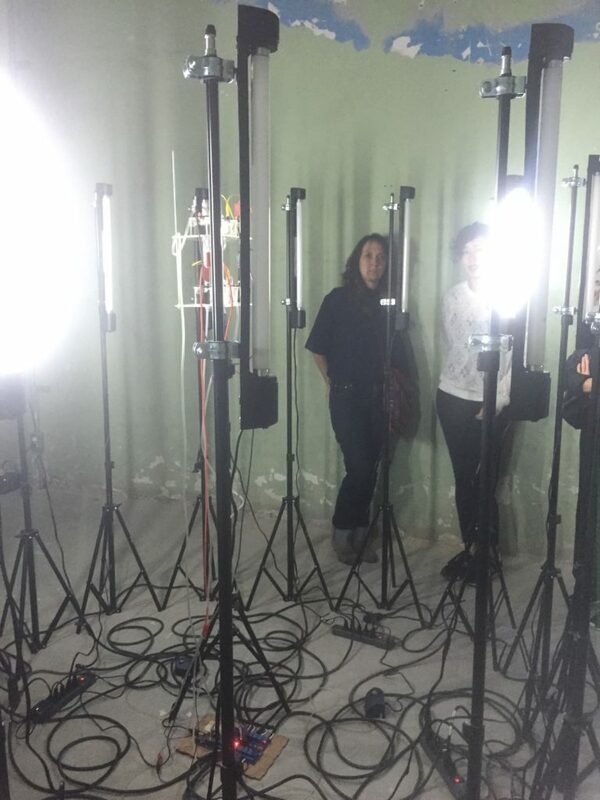 Like her other works, however, the extensive documentation of this project online, including source code, assembling processes, sonic effects, as well as use of open-source sound environments, reflects Garciabs and collaboratorsb commitment to open-source culture. Additionally, processes are shared in workshops at maker events, galleries, museum, and festival exhibitions. The ecological and DIY themes of Garciabs work are similarly engaged by contemporary artists in Mexico and elsewhere in Latin America, including Gilberto Esparza, Marcela Armas, Arcangel Constantini, and Hamilton Mestizo, among others. Likewise, biomusic is a current focus in experimental music circles, including Latin American composers such as the Mexican Ariel Guzik and the Brazilian Eduardo Reck Miranda, as well as a host of musicians in Europe, the United States and Asia. Contemporary interest in bio-arts in Latin America emerges on several factors, which understood as being intertwined with attendant globalization processes, contribute to both fostering artistic opportunities and critiques. The ongoing formation of transnational networks of like-minded artists, makers, hackers and researchers exchanging information and collaborating on such practices can be understood as a result of institutional and corporate support for media arts in the region and elsewhere, as well as growing awareness about the urgency of ecological devastation and corporate and governmental control of media in Latin America and globally. Altogether, these circumstances contribute to expanded inquiries into the interface, which in Garciabs work is broadly conceived, as a zone for encounters between the human and the non-human (machines and organic life). Distinguished for their participatory focus, Garcia's bio-interfaces reflect these dynamics in that they are conceived as processes of translation among different states. As transducers of energies and flows, they suggest that all the elements involved in the system -human, electronics, weather, plants, bacteria, fungi -are not separate, but co-constitute layers. What is thus sonified is not nature itself, but our participation within nature. At issue in Garciabs work, then, are the politics (or ethics) of participation. When participation, mediated by the interface, is a requisite or indeed the lifeblood of the current ecologically-ruinous economic and political systems, how are we to shape alternatives? Garciabs projects suggest that the interface can be a means to attend to these questions. .
 Alexander Galloway's The Interface Effect is an exception. Alexander Galloway, The Interface Effect (Cambridge, MA: Polity Press, 2012). Manuel de Landa also discussed the shift from input-output to agent-driven interfaces, implicating as he puts it the notion of the interface as beventb, prior. Manuel de Landa, bMeshworks, Hierarchies and Interfacesb, in John Beckman, ed., The Virtual Dimension: Architecture, Representation and Crash Culture (New York: Princeton Architectural Press, 1998), 274-285. A product of Soviet-government sponsored research into proximity sensors, the theremin was patented in 1928 by the Russian physicist and amateur cellist Lev Sergeevich Termen, known as Léon Theremin. Garcia and Lopez are compiling a data base of the sounds collected during experiments, under the title Non Human Rhythms.